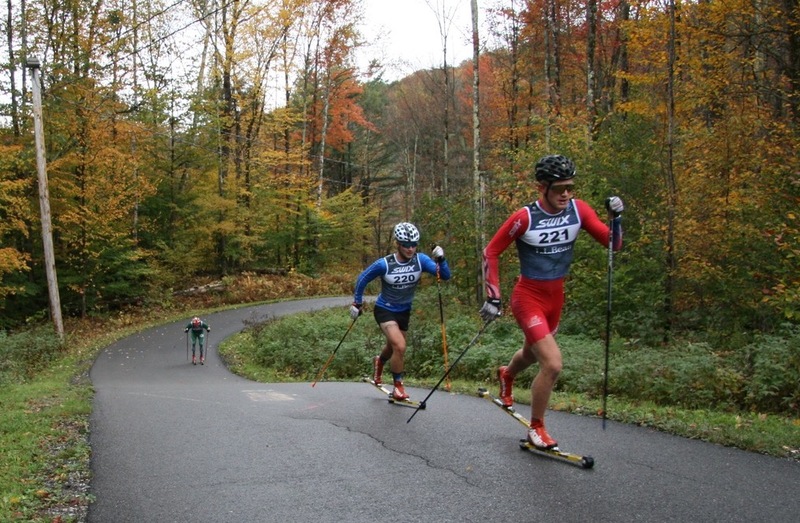 This past weekend, more than 170 skiers descended upon the Camp Ethan Allen Training Site at the Vermont National Guard base in Jericho, Vermont, for the New England Nordic Ski Association (NENSA) Rossignol Fall Rollerski Classic. According to NENSA Competitive Programs Director Justin Beckwith, the field size nearly doubled from last year, and he believed 172 finishers made it the largest North American rollerski race. The event was hosted in conjunction with the Mansfield Nordic Club on Saturday, Oct. 13, which was described as a “chilly morning replete with the first snow of the year on Mount Mansfield as a backdrop” and rain drizzling throughout the day, according to a NENSA press release. In the 10-kilometer open (over-18) women’s race, Caitlin Patterson of the Craftsbury Green Racing Project (CGRP), also located in northern Vermont, took the win with a time of 25:14.4 minutes, about 18 seconds ahead of her Craftsbury teammate Ida Sargent (of the U.S. Ski Team) in second. About 30 seconds back from the win, Lina Sutro of the University of Vermont (UVM) placed third. In the open men’s 10 k race, another UVM skier and last year’s winner Bill Harmeyer won in 22:09.6, just 5.5 seconds ahead of Adam Martin (CGRP) in second. Another 12 seconds back, Kyle Bratrud, of the Stratton Mountain School (SMS) T2 Team in southern Vermont, placed third. 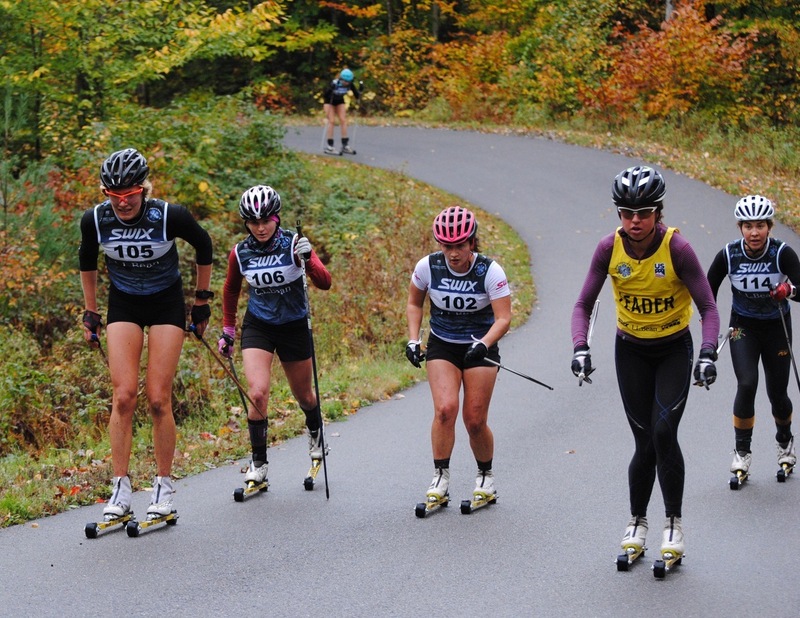 Notably, the top 30 in both the men’s and women’s senior races competed on matched Swenor Alutech Classic rollerskis. “We managed a fleet of 38 – 20 from our NENSA fleet and 18 sent out to us on loan from the Midwest fleet,” the press release stated. After the races, athletes were able to try out an agility ramp. “The whole day had a carnival-like feel with a balance of world-class competition and camaraderie,” the release noted. For more on this event and the highlights of the 5-kilometer U16 races, click here.